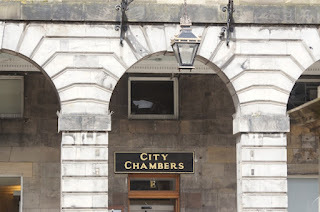 Health focussed projects in the south west of the city have been invited to apply for funding from a £40,000 pot as part of a City of Edinburgh Council initiative. Health Matters (external link)will welcome applications that focus on health, health promotion, making healthy life choices and that target a wide age range or equalities groups. Health Matters is also interested in projects that are based on non medical or community referral interventions and activities that are offered by ‘social prescribing’, which can typically include dance classes, cookery clubs or knitting groups. This year’s application period is open from Monday 26 September 2016 and closes on Friday 28 October 2016. Groups can apply for grants of up to £5,000 each to be spent on projects that will benefit people in the South West Neighbourhood Partnership area. Councillor Maureen Child, Convener of the Communities and Neighbourhood Committee, said: “Health Matters is a great opportunity for local projects to bid for funding to deliver projects that matter in the south west area. Studies have shown that social prescribing is seen as a ‘more than medicine’ approach and the Health Matters initiative presents the opportunity to offer alternative options to patients, looking at both the clinical and social elements. £20,000 has been allocated from the Neighbourhood Partnership and the rest match funded from the Scottish Government’s Community Choices Fund. Adopting a participatory budgeting approach to the allocation of funds, projects will be voted for by the local community later in the year. You can find information on how to apply or details if you would like to speak to someone about your project on the Neighbourhood Partnership website(external link). 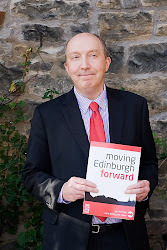 Yesterday along with many others, I listened as Andrew Kerr, the Council’s Chief Executive, outlined plans to develop a long-term vision for Edinburgh. Between now and Christmas, the process to develop a ‘2050 Edinburgh City Vision’ will give everyone in the Capital an opportunity to think about the long-term future of their city. Because the truth is, in 30 years time very few – if any – of the Politicians or Senior Officers currently at the Council will be here. Those within current leading businesses, charities and the emergency services will also potentially have moved on. The workers and residents of 2050 will be Edinburgh’s millennials. Those aged 16 today will be 50, so it is crucial young people have a real say in this City Vision. I was particularly interested to hear from pupils of Portobello High School whose vision for Edinburgh is for a city where the gap between rich and poor is greatly reduced. I also listened to Graham Hill as he revealed the findings of an interesting piece of new research from ARCADIS. 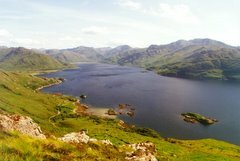 It shows that Edinburgh is currently ranked as the 13th most sustainable city on the planet, second in the UK only to London. But cities like Edinburgh do face a huge challenge of balancing success against inequality; and growth against heritage. In Copenhagen, which shares similar challenges, the city has a vision of being a ‘Green, Smart, and Carbon Neutral City’. In New York, the city plan sets out a vision for ‘a strong and just city’, underpinned by a need to respond to the damage caused in the city by Hurricane Sandy; while in Vancouver, where city visions have been an integral part of city planning since the 1940’s, the city is working towards a vision of being the ‘world’s greenest city’. So, we want as many people as possible to be part of this conversation. The key challenge will be reaching a cross section of residents, businesses, partners and stakeholders across the city, to ensure the Edinburgh of the future is meaningful to all of us. One of our approaches to this is online engagement, with the public and partners through open questions designed to capture challenges, ideas and opinions. 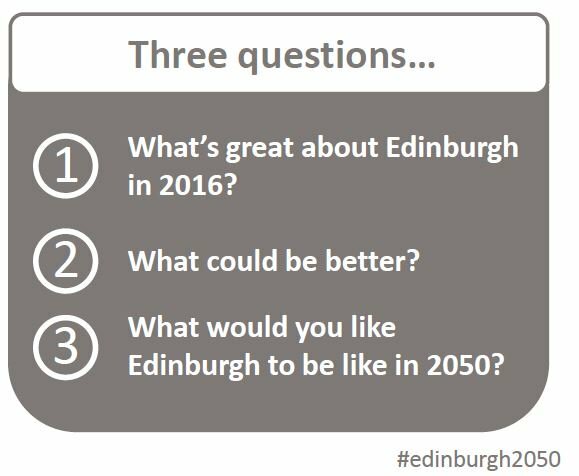 So, do tell us what you think makes Edinburgh great, what you feel could be better, and your own personal vision for #Edinburgh2050 on social media or at edinburgh.org/2050. 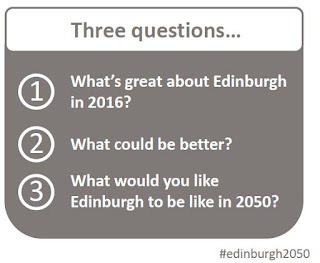 What would you like Edinburgh to be like in 2050? An engagement campaign has been launched to support the development of the ‘2050 Edinburgh City Vision’ and ensure it represents the views of people who live, work and study in the city. "Cities are under pressure from all angles; some pressures are easily forecasted while others are more difficult to predict. Balancing the immediate needs of today without compromising the demands of tomorrow is at the heart of sustainability, and of this report. The 2016 Arcadis Sustainable Cities Index ranks 100 global cities on three dimensions, or pillars, of sustainability: People, Planet and Profit. These represent social, environmental and economic sustainability to offer an indicative picture of the health and wealth of cities for the present and the future. Well-established European cities dominate the top of the overall ranking making up 16 of the top 20 positions. They are joined by the advanced Asian cities of Singapore (in second place), Seoul (7th) and Hong Kong (16th) as well as Australia’s capital, Canberra (18th). Cities around the world are living at extremes, not balancing these pillars of sustainability. While taking the lead in some areas, cities often sit lower in one area of sustainability. How can cities do more to ensure that as they develop and implement strategies and policies to address the considerable challenges they face - from environmental to socio-economic – they do so in a way that puts people first and at the forefront of their sustainability?" Cities around the world are struggling to achieve a balance in the three pillars of sustainability. The 'Arcadis' published study Sustainable Cities Index 2016, compiled by the Centre for Economic and Business Research (Cebr), ranks 100 of the world’s leading cities. 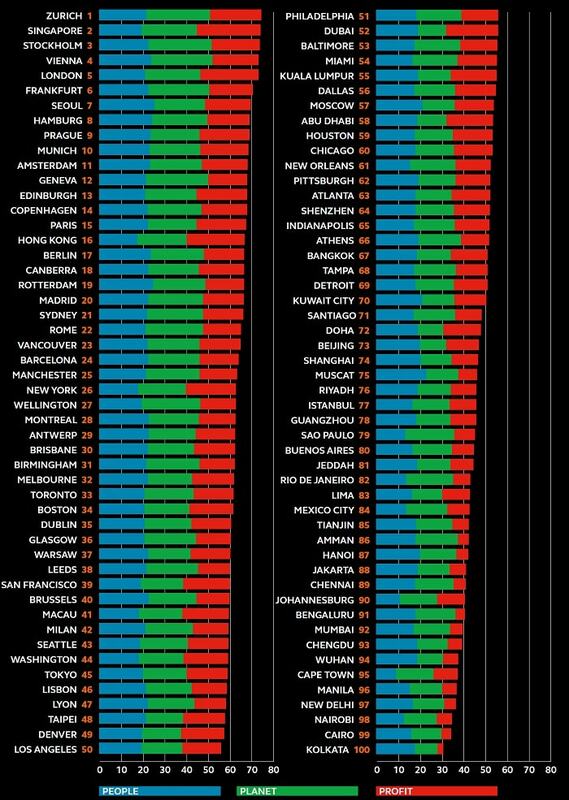 Zurich,Singapore and Stockholm are on the top of the overall Sustainable Cities Index. Edinburgh features at 13th in the world. The City of Edinburgh Council produced its first allotment strategy “Cultivating Communities” in 2002. This was followed by “Cultivating Communities – A Growing Challenge” in 2009. Our third strategy, “Cultivating Communities - A Growing Success” continues the themes of its predecessors and aims to provide a strategic approach to the planning and management of allotments for the next 10 years and contains a 5 year Implementation Plan. Over the duration on the last strategy (2011 – 2015) a further 11 sites were developed at Kirkliston, Albert Street, Inchkeith, India Place, Hawkhill / Nisbet, Drumbrae, Baronscourt, Prestonfield, Northfield Drive, Dumbryden and Victoria Park, as well as extending allotments at Stenhouse. There are currently a total of 44 sites in Edinburgh, all with varying size plots. A Council Allotment Officer is responsible for the majority of these sites. In total there are now 1,724 allotment plots (Table 1) of which, the Council directly manages 1,488 plots. Demand for allotments while now stabilised continues to be high with approximate 2,500 current waiting list applicants. - Adoption of revised regulations. Consultation on the new strategy began on the 20-Sep-16 and will run until 18-Oct-16 with responses being reviewed during this period. It would be our intention to report the new Allotment Strategy to the Council’s Environment Committee in January 2017. It's not often you get the chance to rub shoulders with Olympic and Paralympic stars, so do please make sure you get Wednesday 28 September in your diary. That's when the public will get the unique opportunity to meet our Scottish heroes after all their outstanding sporting achievements in Rio. The Council has held very positive discussions with sportscotland over the best way of allowing the public to celebrate the athletes' medal successes and an event (still in the planning) in Festival Square promises to be a once-in-a-lifetime opportunity. So don't miss this amazing chance to take photos and mix with your sporting stars; hotfoot it to Festival Square between 3pm and 4pm on 28 September to meet your Rio heroes and show your appreciation for all their efforts. Keep your eye on the Council website and local press forfurther event details. Edinburgh is one of the world's most beautiful cities and I know all of us want to live in a place where the streets are kept as clean as possible and waste is disposed of responsibly. Refuse collection is another major priority as we strive to recycle more and send far less to landfill. Every year we carry out over 26 million waste collections, the vast majority of which happen without any issue. However it is only right we constantly review and make improvements to our services as we have done in recent years. There has been increased recycling (now almost 45%) and a corresponding drop of 10% in the amount of waste ending up as landfill, which saves us £84.40 in landfill tax per tonne - or £1m a year! We've also invested in new vehicles, implemented daily bin collections, extended communal bins, rolled out food waste collections and trialled new technology, such as sensors on litter bins to monitor how full they are. Nobody could fail to be moved by the plight of the millions of Syrian refugees forced to flee their war-torn homeland and last year the Council was delighted to sign up to the Scottish Government's response to the refugee crisis. I'm delighted that we have met our target of welcoming 100 refugees to the Capital within the first year of the relocation. Kindness and generosity are part of the DNA of this city and residents have extended a sincere and heartfelt welcome that does us all proud. The Council is committed to building on the success of our Syrian Refugee Resettlement Programme and we look forward to working with the Scottish and UK governments to ensure the continued resettlement and successful integration of refugees in Edinburgh. Everyone has the right to feel safe in their own homes but sadly there's a minority of pretty unscrupulous people out there who prey on the most vulnerable in our society. That's why it's fantastic news that we've now established more than 100 special 'no cold calling zones' across Edinburgh to help stamp out doorstep crime. These zones give communities a strong voice against bogus callers and rogue traders and empower residents with the confidence to say no to unwanted callers. Cold callers can often be a precursor to doorstep crime so the Council's Trading Standards team work very closely with Police Scotland to combat the problem. An incredible 100% of residents in existing zones are satisfied with the measures and 92% have noticed a drop in cold callers - proof that No Cold Calling Zones are having the desired effect. Tackling air pollution is a major challenge for all urban authorities. Here in Edinburgh we're acutely aware of the issue and work extremely hard towards improving air quality and making the city a cleaner, greener place for everyone. While we certainly can't be complacent, early nitrogen dioxide data for 2016 from our fixed monitoring sites do prove satisfying reading, with emissions down a full third at St John's Road and more than a fifth at the Newbridge Roundabout. It's tricky to pinpoint all the factors contributing to this fall in emissions, but it seems likely that the wide range of actions we're taking to improve air quality - such as our £200,000 investment upgrading the traffic signals to reduce queuing at Newbridge - could be starting to bear fruit. I know every effort is being made to ensure this positive trend continues. It's elections time again! We're looking for people from all over Edinburgh who care about their community to put themselves forward as potential community council members. Community councils play a really important role in the life of this fine city and they're a great way for people to help shape their local community and make a real difference to their neighbourhood. If you think this sounds like your cup of tea, don't delay - nominations close on 26 September! Candidates must be 16 or over and registered to vote. Nomination forms can be found on the Council's website. 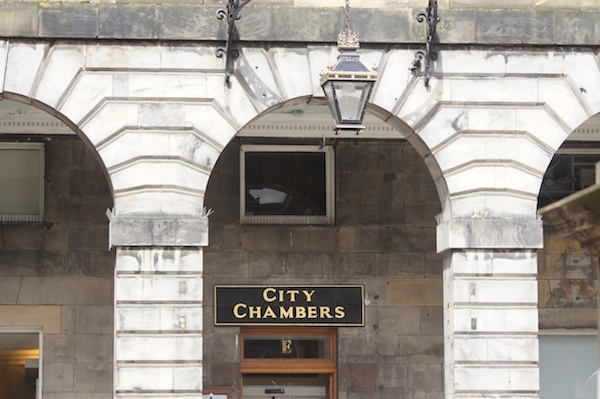 Nominations for Edinburgh’s community councils will open on Monday 5 September 2016. The Council is calling on people passionate about their area to play an active role and through local engagement help to build consensus on key issues. Community councils give local residents the opportunity to influence what happens in their area - members get involved in a wide range of activities, comment on planning and licensing applications, take part in community campaigns and work with others to improve the local area. Community councils are made up of local residents and community groups such as youth forums, parent councils and student bodies. Each one is represented on the Neighbourhood Partnership for the area, where they work with local elected members, Police Scotland, Scottish Fire and Rescue Service, NHS Lothian and the voluntary sector to identify and deliver local priorities. Meetings are held usually once a month and members get involved in a wide range of issues. Recent activities include successfully lobbying to increase the frequency of a bus service, setting up a book festival and delivering an annual health fair. People aged 16 years or older and are registered to vote can join. 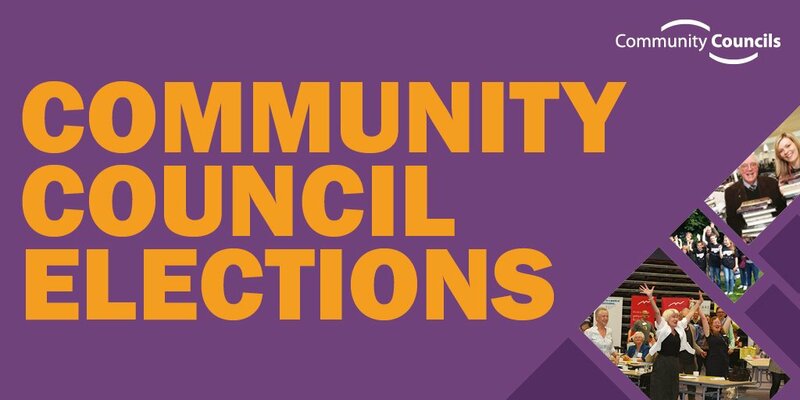 The nomination period for the community council elections runs from Monday 5 September to Monday 26 September 2016. Elections, where required, will take place on Thursday 27 October 2016. You can apply as an individual or as a local interest group, such as a Parent Council, Friends of Parks or sports club. Nomination forms will be available from 5 September 2016 on the City of Edinburgh Council’s website. 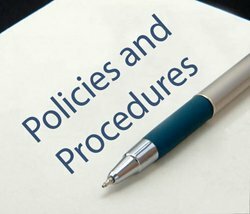 All of the Reports are now published for September's "Corporate Policy and Strategy" Committee; it meets at 10am, next Tuesday 6th September.